That statement might surprise you but really not everything is online. Consider how many newspapers, books and documents you hold, relating to your family and then try and imagine similar things being held by genealogists and you will understand. 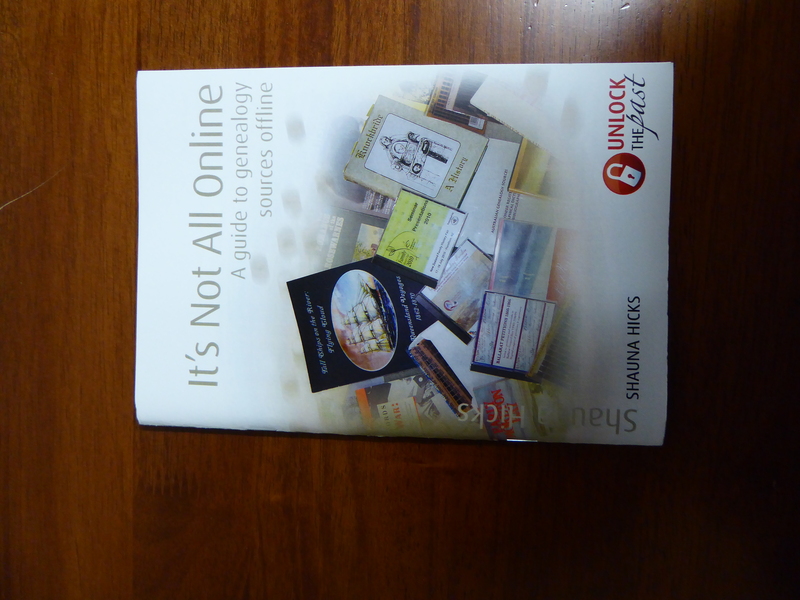 This little book It’s Not All Online by Shauna Hicks, will help you navigate your way to finding those elusive documents. Shauna has divided the book into different areas, Archives, Libraries, Genealogy & Family History Societies, Local Historical Societies, Heritage Centres, Museums are just some of them. She has then looked at smaller sections within them. So next time you can’t find that document have a look, offline and see if it can be found.